Sudbury patients choose cosmetic dentistry for an array of reasons—to repair chips and cracks, treat an injury, or just improve their overall appearance. Regardless of what your reason for a smile improvement is, cosmetic dentistry works to help you look younger and healthier. 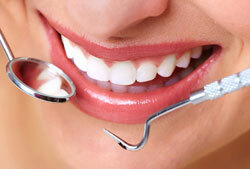 For more information on Cosmetic Dentistry in the Sudbury, MA area call Millbrook Smiles at (978) 443-5500!